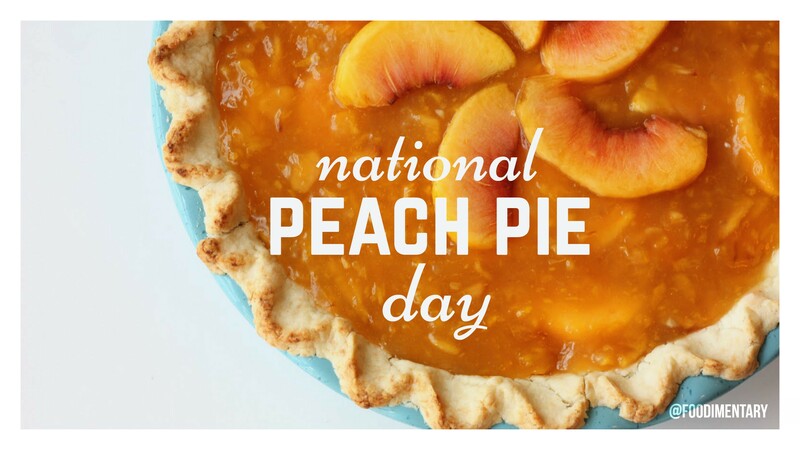 August 24th is National Peach Pie Day! There are over 700 varieties of peaches-some Chinese varieties are even flat like hockey pucks. 79 R.I.P. Pliny The Elder. A Roman scholar and naturalist, he was the author of the 37 volume ‘Historia Naturalis’ (Natural History). This was a compilation of thousands of ancient books by hundreds of authors. It is an invaluable record of ancient theories on countless scientific subjects. 1853 The month and day are uncertain, but the year is correct. Native American Chef George Crum invented potato chips at Moon’s Lake House in Saratoga Springs, New York. 1869 Cornelius Swarthout received the first U.S. patent for a waffle iron. 1918 Ray McIntire was born. A chemical engineer who worked for Dow Chemical Company, he invented Styrofoam. 1969 The movie version of Arlo Guthrie’s ‘Alice’s Restaurant’ premiered in New York and Los Angeles. mmm peach pie! One of my favorite treats in the wide world! It’s also national waffle day!